You know how it is, you have most of the year to visit somewhere and you end up going on the last weekend before it closes! Sound familiar? That describes my last trip to Orford Ness. 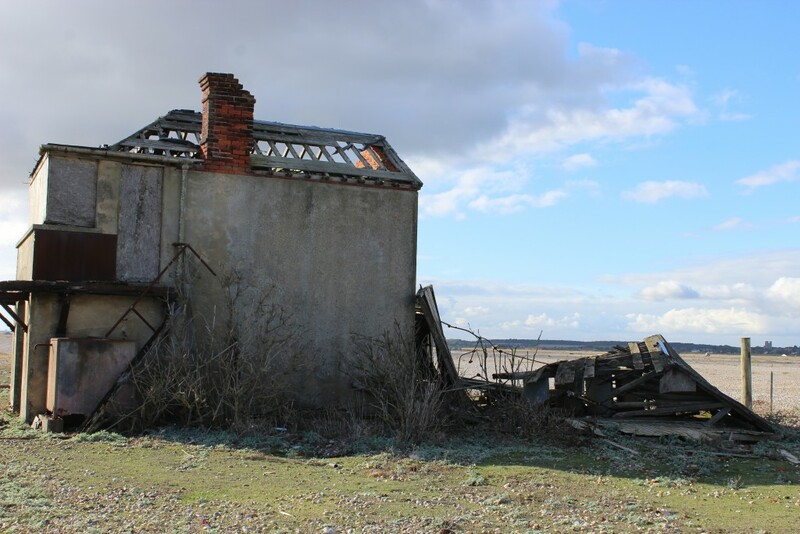 Well here’s your chance to be one of the first visitors this season to Orford Ness as it re-opens for 2017. 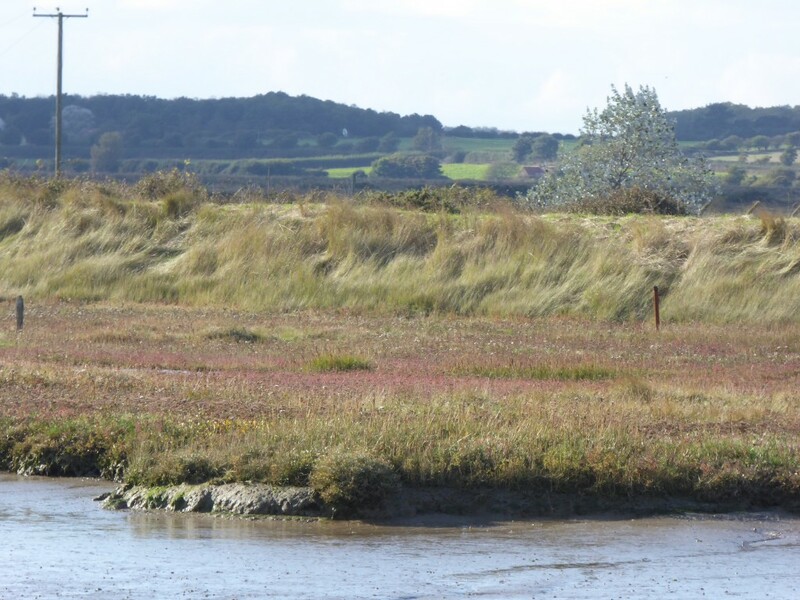 It truly is a unique landscape which explains why it was voted in the Suffolk Top 50. My visit last October, on the last day of the season was great! The delay in writing this blog is due to the difficult job of choosing the photos to share with you from the hundreds I took! If you are keen on photography a visit to Orford Ness is a must! It was my second trip to Orford Ness, the first being during the 2012 Olympics on my birthday. I decided to visit somewhere reasonably local as I wanted to watch Tom Daley dive in the morning and Mo Farah run in the evening! 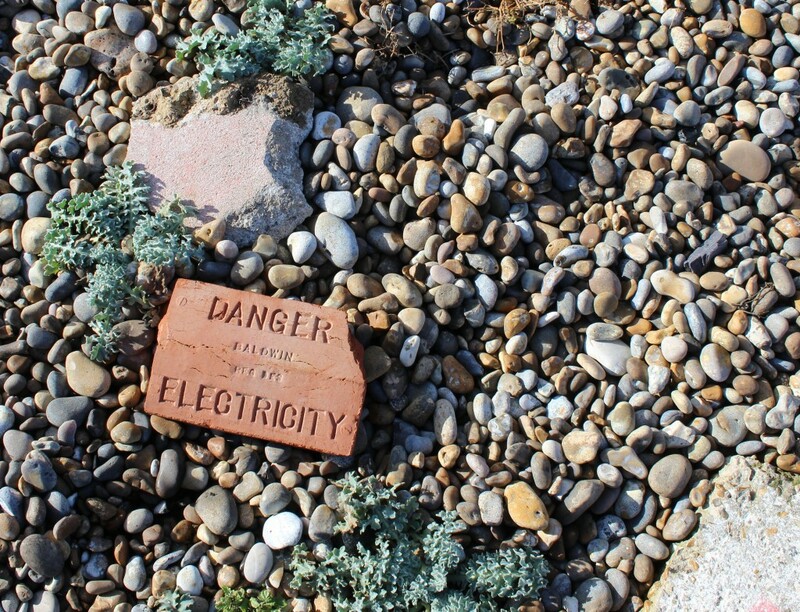 I should have perhaps researched before I went to Orford Ness for this first time, as although I now love it – it is not the most cheery of places to visit on your birthday! 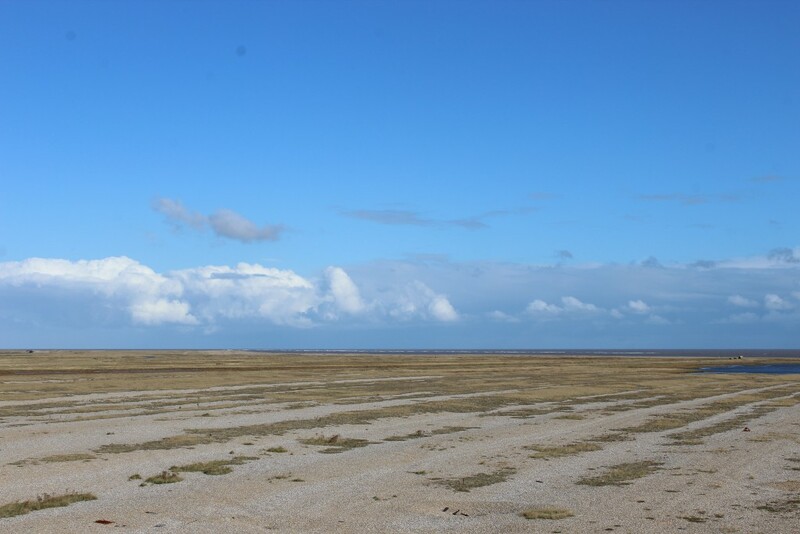 Orford Ness is described by the National Trust as “Desolate, lonely, mysterious. Peaceful, fascinating, beautiful.” in addition to “Wild, remote and exposed the ‘Island’ contains the ruined remnants of a disturbing past.” Having visited, I feel this is a great way of describing this unique landscape so you can see why I was surprised on my birthday visit! 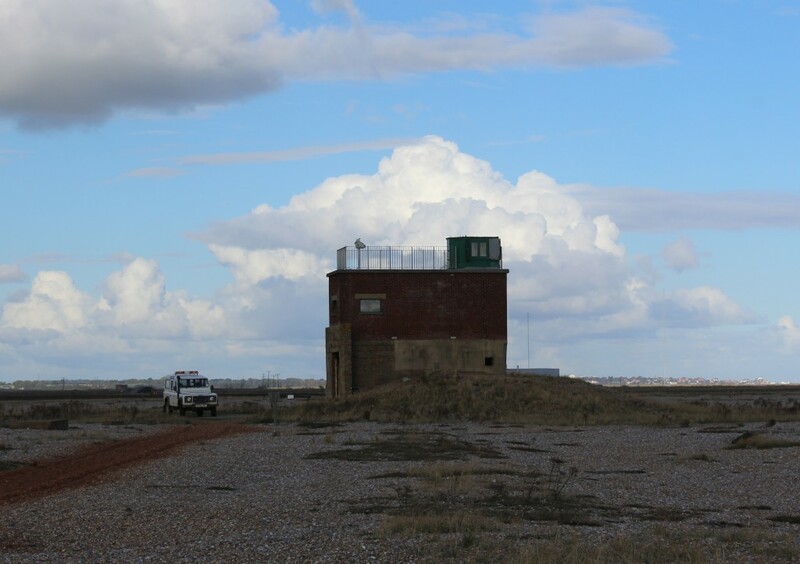 Known also as ‘The Island’ Orford Ness is a nature reserve and has the largest vegetated shingle spit in Europe, incredibly important for wildlife and coastal plants. 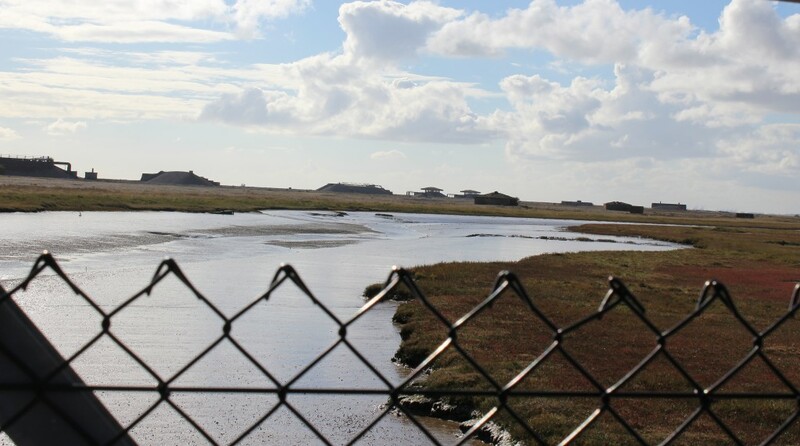 Orford Ness has a very interesting history and is perhaps most well know as being used as a military test site which included experiments on parachutes, camoflauge, bombs, aerial photography and also the development of Radar. 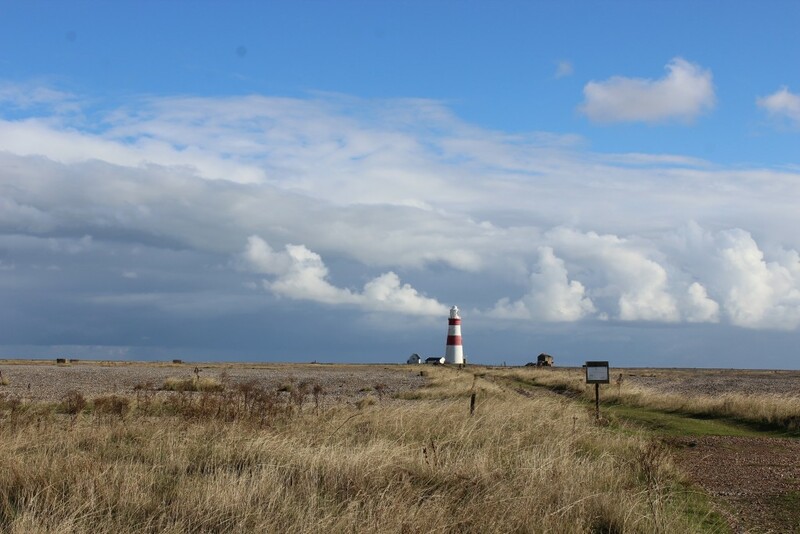 My last visit to Orford Ness was in October 2016 and as you would imagine the weather in October can vary considerably. 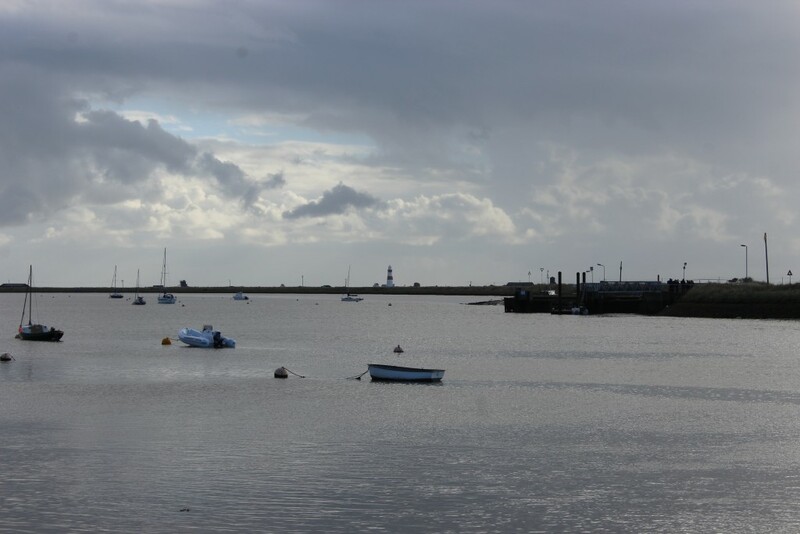 As I arrived at Orford Quay and looked towards the lighthouse I wondered if I had made a mistake leaving it until October to visit! So cloudy and chilly I can just see the lighthouse in the distance! 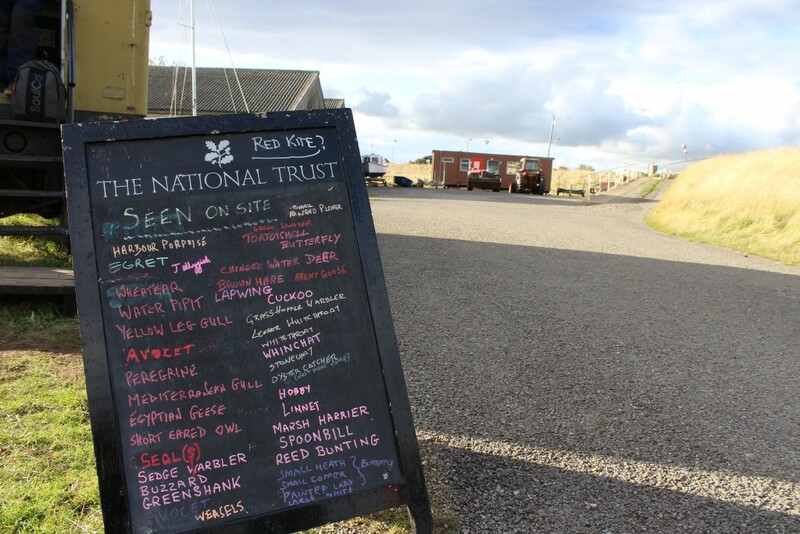 You start your trip to Orford Ness by visiting the National Trust office on Orford Quay to buy your ferry ticket. 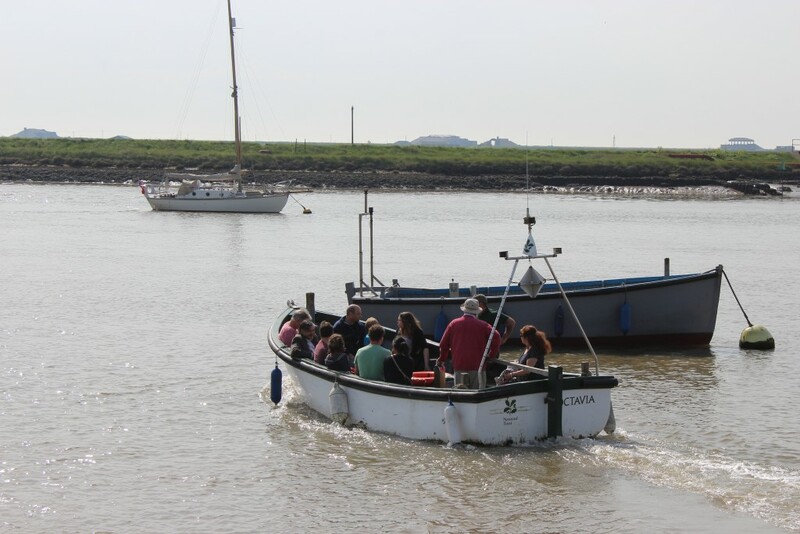 If you are planning to visit as soon as you get to Orford, pop into the office to book your tickets as there are only a certain number of places on the ferry (all bookable on the day) so you may have to wait a bit before you get over to The Island. 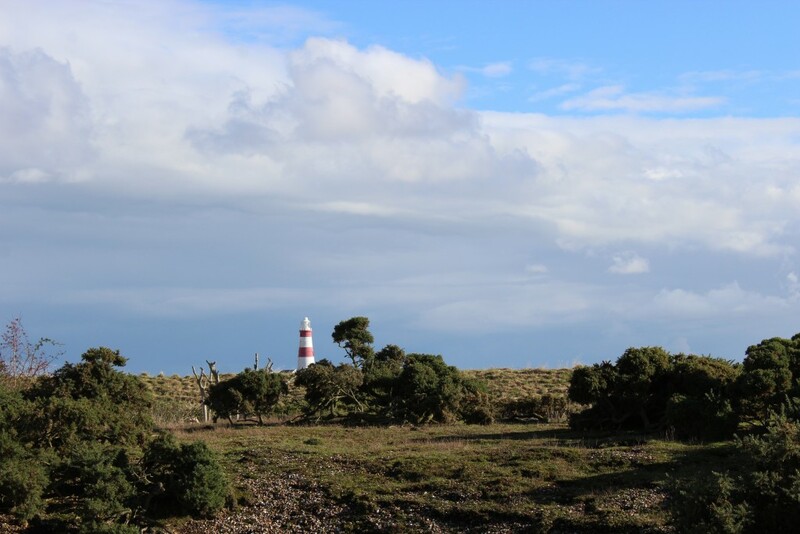 There is lots to explore once you reach Orford Ness. You could easily spend most of the day there. Its important to take a drink and packed lunch with you if you intend to stay a while as there are no refreshment facilities. There are walking trails to follow and some buildings to explore. 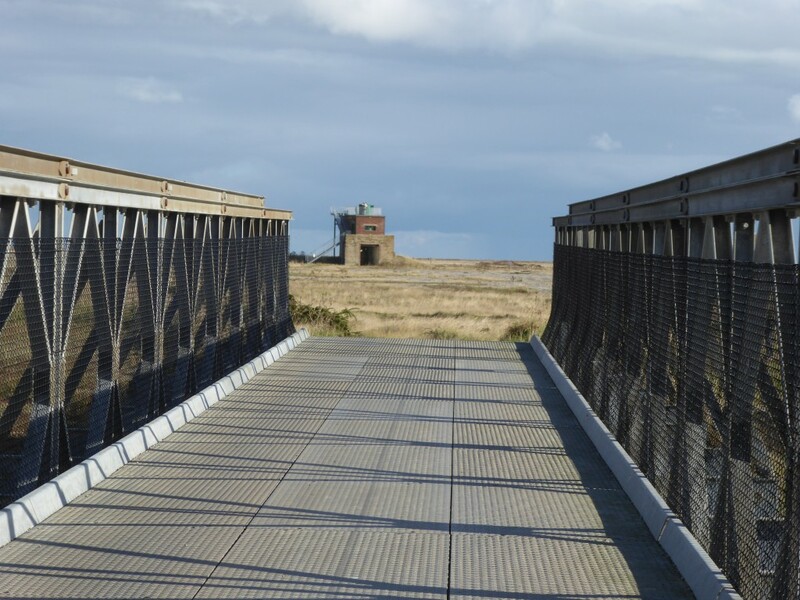 You can reach the lighthouse which takes approximately 40 minutes to walk to – its a lot further away than you think! Here are some of my favourite photos taken during my trip to give you a flavour of what you can expect to see on a visit to Orford Ness. 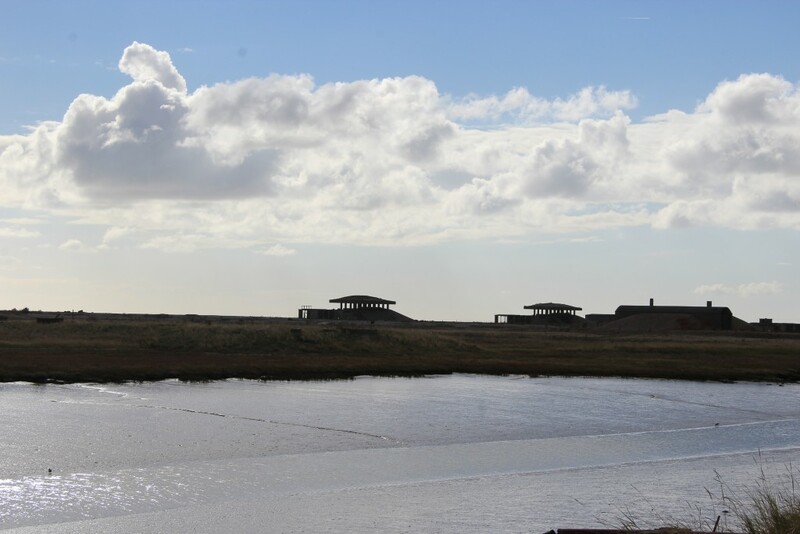 The pagodas at Orford Ness are a familiar sight. They were used for atom bomb testing. As you get nearer the lighthouse the landscape is absolutely stunning. When we reached the lighthouse, as if out of nowhere all of a sudden the clouds disappeared to show a bright blue sky. It was amazing if not a little bit spooky! Until you stand next to the lighthouse, you really can’t believe how tall it is. 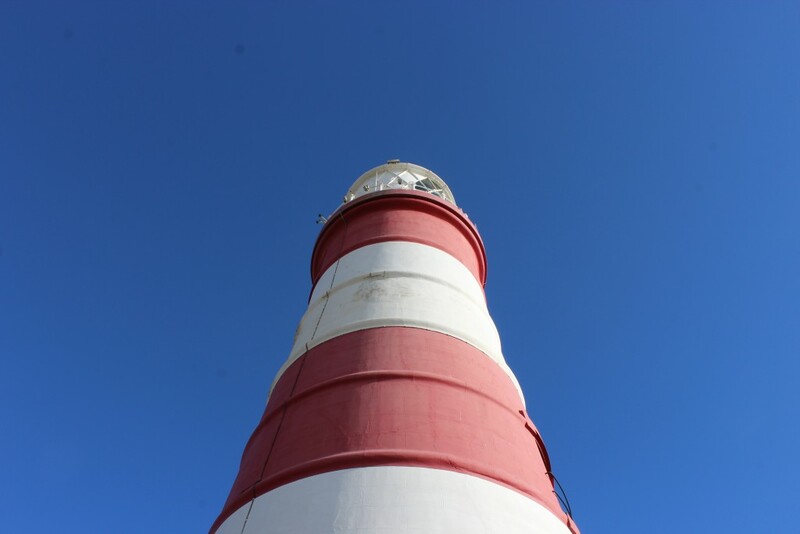 When you see it in Orford from a distance, obviously you know it is going to be tall but when you get to stand next to it, it really is incredible! Here I am…. 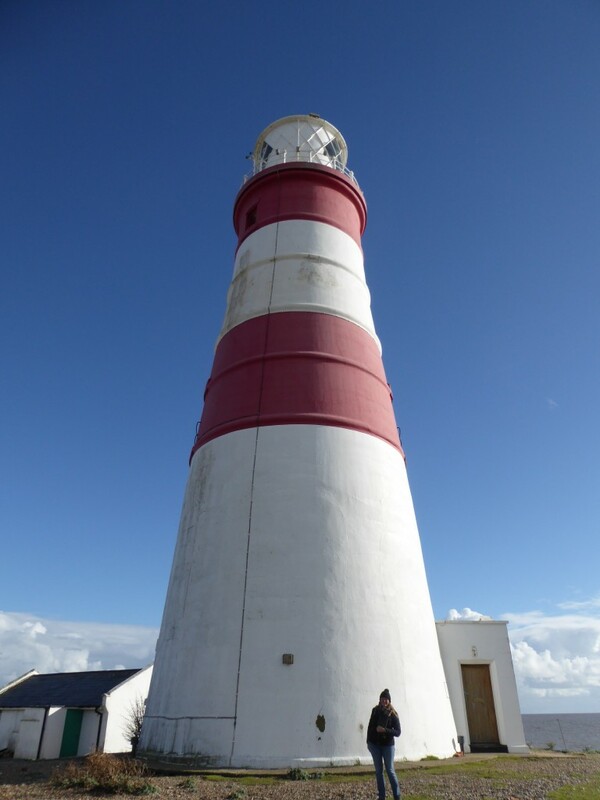 This is me standing next to the lighthouse! 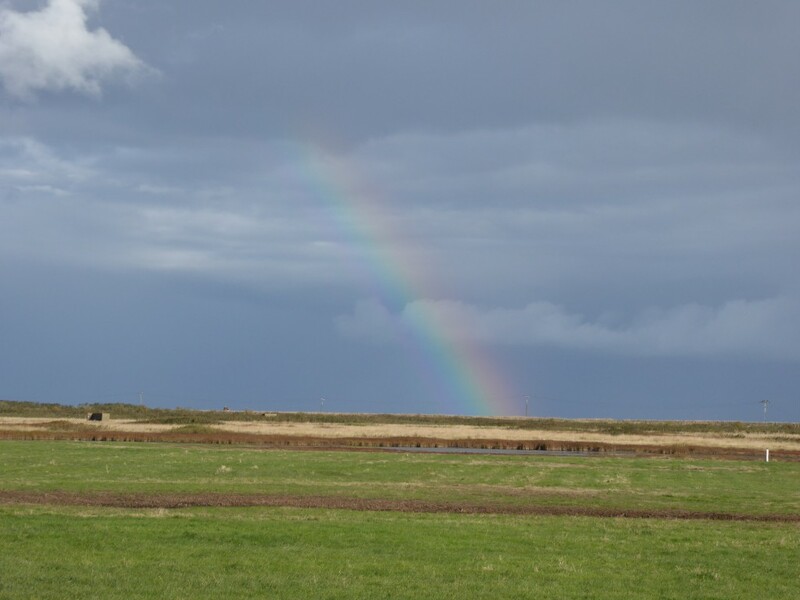 After spending lots of time at the lighthouse, on the walk back to the ferry the clouds returned and we even saw a rainbow! There is so much to discover at Orford Ness. The wildlife sightings are a popular reason for visitors too. Look at the great information board we discovered on route. I even saw my first ever Chinese water deer during the trip! I will be bringing my binoculars next time. You get a great view if you climb the stairs and go on the roof of the bomb ballistics building. We even had lunch there – perhaps one of the most unusual places I have eaten a packed lunch! Look at all those sightings! We had a great day out at Orford Ness and I will definitely be returning again this year. I found the staff and many volunteers I met friendly, helpful and obviously passionate about what they do, which made it great chatting to them about this unique landscape. 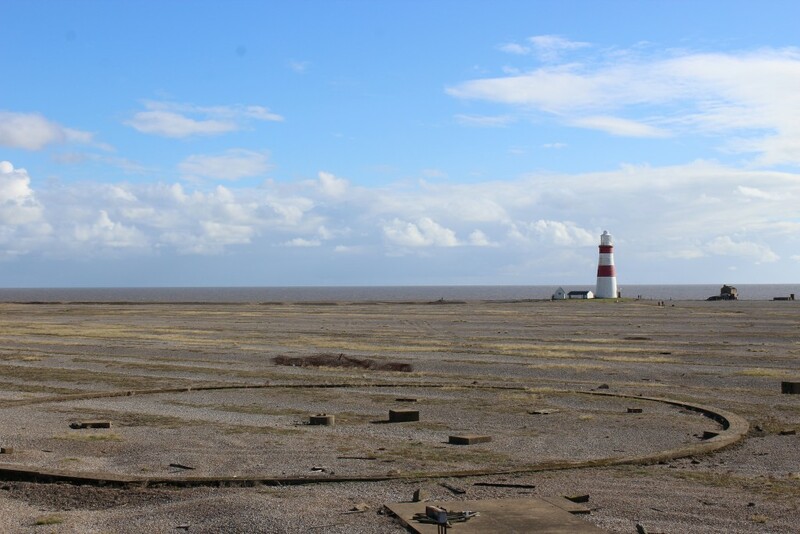 Orford Ness is open April to October (selected days only). For more details of opening times and information to plan your own visit, click here to go to National Trust website. ← When did you last visit a Tourist Information Centre?